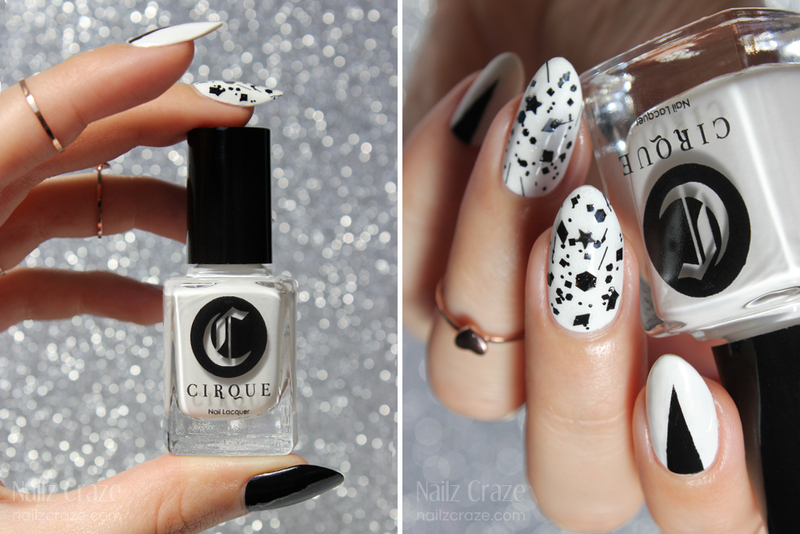 Today I decided to join The Beauty Buffs challenge with this Black & White nail art that I created with the new Cirque Back to Basics set and one of their amazing glitter tops. 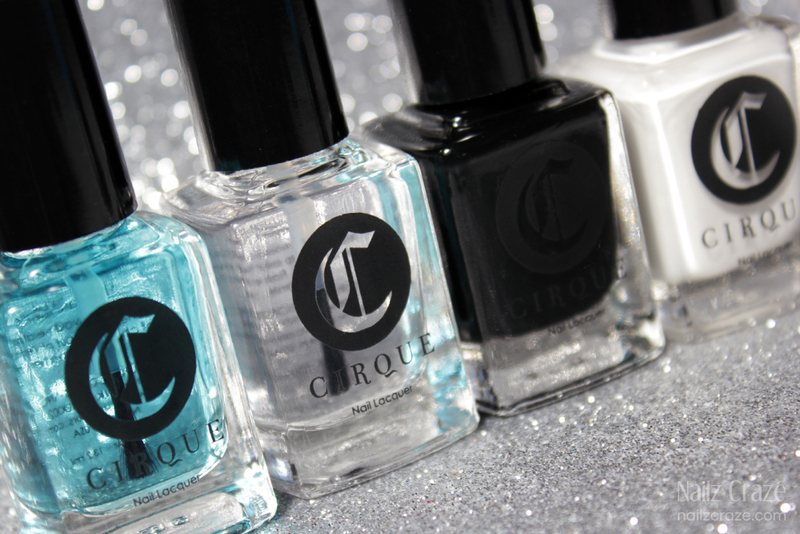 Keep reading to get a closer look at my Black & White nail art and the new Back to Basics set from Cirque Colors. The latest release from Cirque Colors was just perfect for today's nail art. 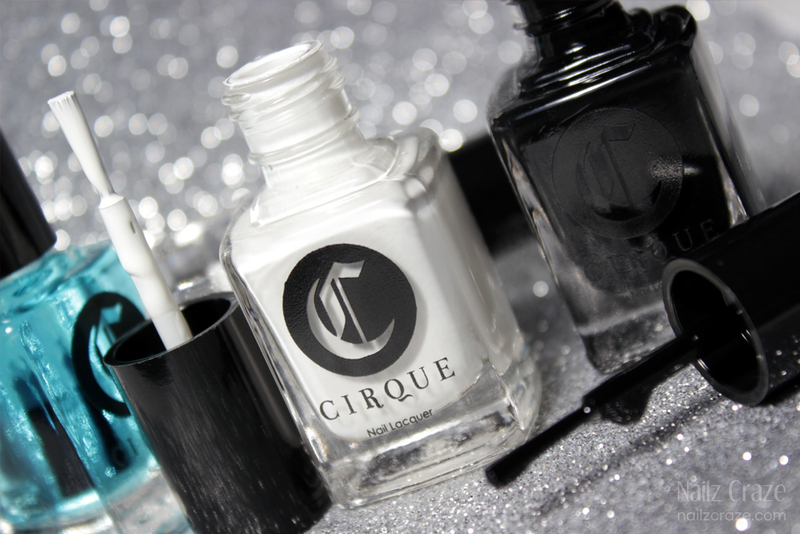 The Back to Basics set includes two creme colors in black and white, a base coat and a top coat. 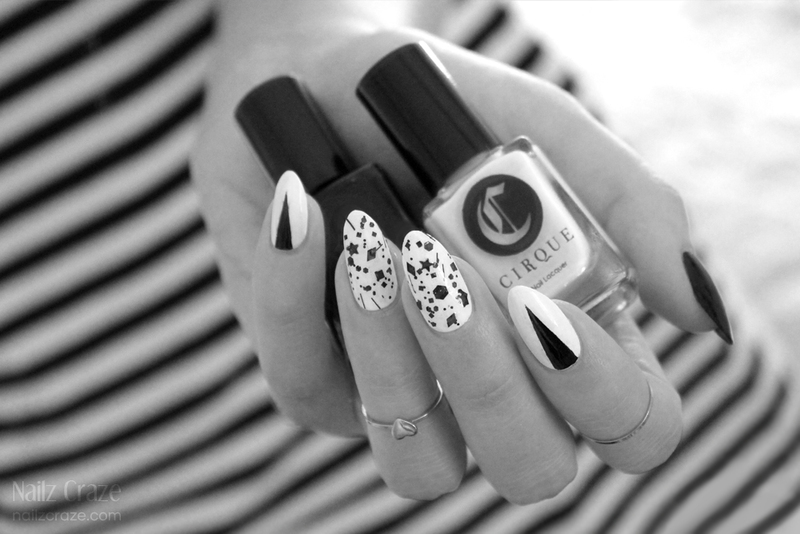 This is the perfect set to get any nail art started! The Back to Basics range is available for purchase as a set in an easy to carry vinyl pouch, or you can purchase them separately. The Back to Basics set is a great addition to my nail art items. Black and white are about the most used colors in my collection, and apparently it's not that easy to find these colors with a good formula. Memento Mori is a flawless glossy creme which is basically a one-coater, and Carpe Diem is a very nice and bright white creme, was easy to apply and conpletely opaque with two easy coats. The base coat and top coat are also a great thing to have since I use them up very often. The Holdfast™ Base Coat is slightly tinted but appears pretty much clear on the nails, I loved the easy application and the fast drying formula. The Liquid Laminate™ Top Coat has a nice formula as well, very fast drying and leaves a nice gloss on the nails. For this nail art I started with one coat of Holdfast™ Base Coat. I then used Carpe Diem (2 coats) as my base color on all nails except for the thumbs, where I chose to apply Memento Mori (1 coat). Once the base was dry, I created a long triangle shape with a striping tape on the index finger and the pinky, then filled it with a quick swipe of Memento Mori. For the middle and ring finger I allied this amazing black multi glitter called Vectors, also from Cirque. This glitter topper must be one of the most impressive and interesting glitter mix I've seen, but then again - Cirque Colors have some of the most beautiful glitter toppers out there! I had so much fun creating this nail art for this challange, and I hope you liked it as much as I did! I would love to hear what you think about this design, and how would you use the Back to Basics set. 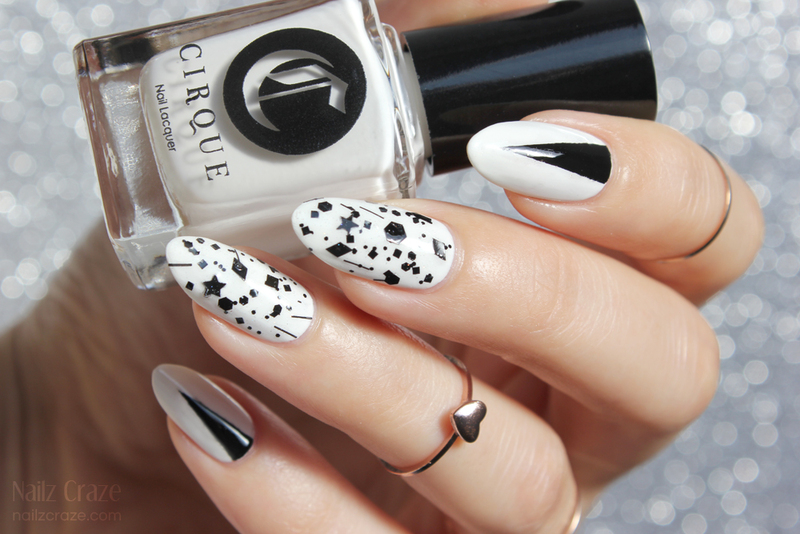 Also be sure to stop by the blogs below to see their interpretation of today's The Beauty Buffs theme - Black & White. Thanks for reading and have a lovely day! I like how simple but edgy these are at the same time. I loved the glitter Natalie... very cute! WOWOW! So gorgeous, your mani and new nail shape are amazing! I love the witchy chevrons. They'd look killer with a red or purple base, too. Love the "spikes". Absolutely gorgeous! your nails! your pictures! wow wow wow wow!!!! GORGEOUS nail art! Loooove the black triangles :). i love that glitter topper, this is gorgeous!! What a gorgeous nail art! Yours is definitely the best of all ;) I love how you combined sprinkles and geometric lines.